I know...what am I thinking. I was thinking that Bonnie Hunter would be starting her mystery quilt soon, so I went to her website to take a look. Then when I saw that one of the main colors was yellow...I had to do it! 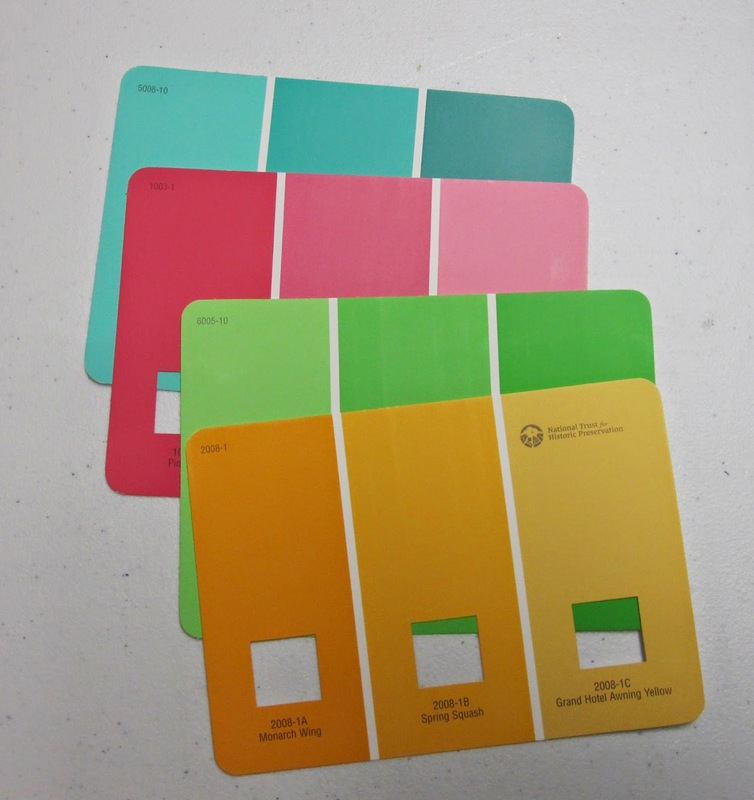 So I went to Lowe's and got my paint cards. I went through my stash getting my piles ready. I was happy I found my yellow fabric at Erica's in South Bend, IN. 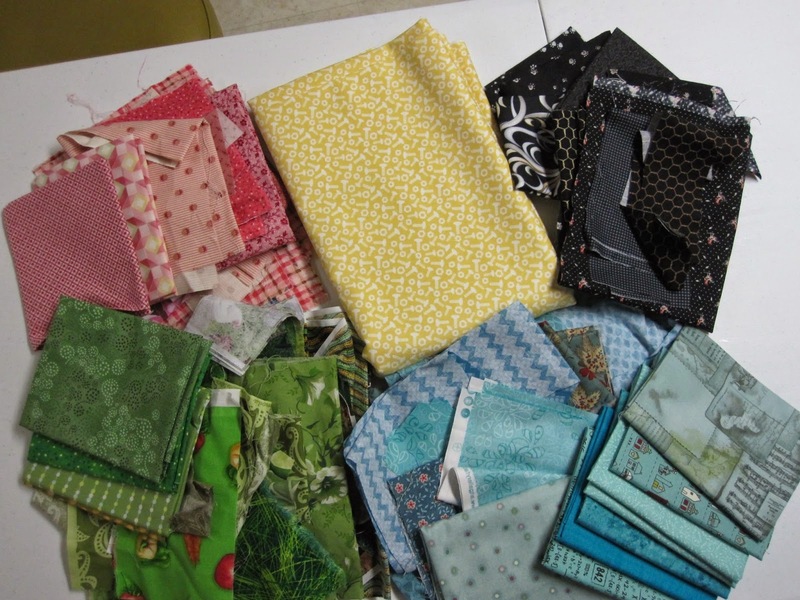 plus all the fat quarters I bought to add to my piles! It was a bonus that I found my yellow fabric on the sale rack. I decided to follow Bonnie's lead and pick one fabric for the yellow and do the rest scrappy. Well, I'm all set for the first step, due to come out on November 28th.